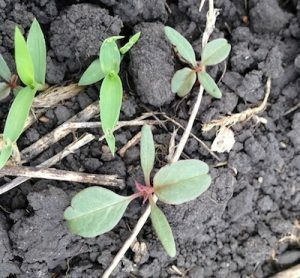 Unexpected carryover can occur when dry conditions in the year of application slow the expected pace of breakdown of herbicides. Unexpected residue damage is a risk any time a sprayer is left full while waiting for an opportunity to spray, or when sprayers are not effectively cleaned between crops and between products. How do you spray weeds in a timely fashion when every day seems too windy? Here are some tips…. A quick quiz to test spraying windows, inversions and timing. Adding micronutrient solutions, especially zinc, to glyphosate is highly antagonistic to the herbicide. How do you spray weeds in a timely fashion when every day seems too windy? Too windy, according to the Guide to Crop Protection, can be product specific but is generally above 15 km/h. Here are tips to improve performance and limit the drift risk in wind…. Tank mixes used for pre-seed burnoff ahead of cereals often contain Group 2 and Group 14 products that can hang up in sprayer plumbing. 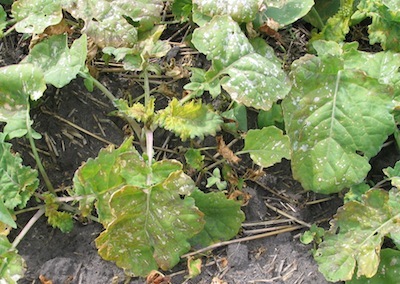 These residues can be particularly damaging to canola. Common canola-crop herbicides and surfactants left in a tank for any extended period of time are very good at removing these residue deposits from tank walls and sprayer plumbing, causing them to mix in with the spray solution. If wind or rain delays spraying, the concentration of scrubbed-free herbicide residue in the tank can continue to increase. 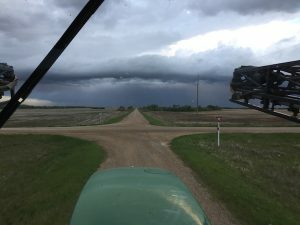 Weather delays for seeding and spraying make it all the more important to have equipment ready to go and running smoothly when productive moments come along. 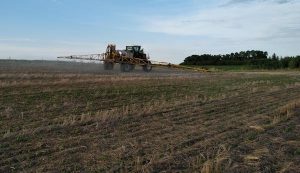 Here are a few preparations to consider for the drill and sprayer. How do you spray weeds in a timely fashion when every day seems too windy? Too windy, according to the Guide to Crop Protection, can be product specific but is generally above 15 km/h. So how do you spray weeds in a timely fashion when every day seems too windy? How do you spray weeds in a timely fashion when every day seems too windy? Too windy, according to the Guide to Crop Protection, is wind above 15 km/h. But we know that some operators will go with winds of 20 km/h and maybe a bit above. Here are tips to improve performance and limit the drift risk in wind…. Wild oats and green foxtail are growing “like crazy” and rain will bring a flush of broadleaf annuals. 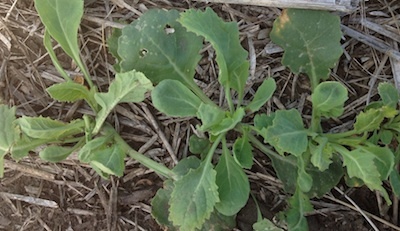 In-crop herbicide applications are best done as early as possible.